The Multi Annual implementation Plan (MAP) of the EU Forest Strategy was officially presented to the European Parliament Agriculture Committee in Strasbourg on 5 October. 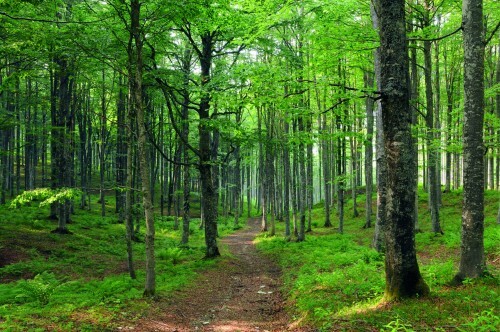 The document aims at ensuring the long-term sustainable management and development of forests in the EU and it represents a follow-on from the 2013 Forest Strategy, in particular updating the challenges which the sector faces in line with the objectives for 2020. EU Commissioner for Agriculture & Rural Development Phil Hogan presented the MAP stressed “although the Rural Development Programmes (RDP) for 2014-2020 have not been finalised in all Member States, the EU Commission estimates that, taking all 118 RDPs together, approximately €7.2 billion of public investment is programmed for the forest sector. The Forest multi-annual plan will assess how these measures could bring more added-value and how they could be applied more effectively." The Commissioner highlighted that “forests have been expanding steadily over the last 50 years although the potential benefits are widely acknowledged the challenges faced by the sector are evolving. For example, the demand for forest biomass is likely to continue to increase in line with the worldwide demand from traditional industries and from the promising development of the bioeconomy”. “Taking the FOREST EUROPE set of criteria and indicators for Sustainable Forest Management as a starting point, to review how to demonstrate the sustainable management of forests in the EU.The corresponding SFM criteria and indicators should be applicable for the purpose of different EU policies where relevant and when there is a need to refer to SFM and its means of evidence in a way linkable to subsequent life-cycle phases. This would ensure that a common approach for assuring sustainable forest management for all forests and their products (including forest biomass) could follow a coherent set of requirements and use the same evidence base regardless of end use”. “Enhance the competitiveness of the forest-based sector”, in particular, exploring the potential availability of sustainable biomass from all sources, including forest-based ones, for many uses. This will provide to the EU useful information on the potential for the sustainable mobilisation of wood in the EU to support a sustainable bioeconomy and the forest-based industries with coherent information”. Finally: “focus on transferring technological and scientific knowledge to forest practice and the market. In particular through Horizon 2020 as well as through the relevant European Innovation Partnerships (EIP) on Agricultural Productivity and Sustainability and EIP on Raw Materials. Projects will support the sustainable wood supply to forest-based bioeconomy, the development of new products with higher added-value and the exchange of best practices between industry, scientists and producers".